At the height of the Tallahassee real estate market in 2005, many home sellers did not think twice when hiring a Realtor to sell their home. Heck, some just put a sign in their yard and sat back to consider the offers that came streaming in, as buyers far outnumbered sellers in the market and selling a home was easy. If you don't want to find yourself in a terrible bind when you decide to move, make sure you take a more prudent approach in selecting the Realtor for the job of selling your home. We all have friends "in real estate." Unfortunately, not many real estate agents are qualified to help you in this market. 95% of agents sell fewer than one of their listings each year, and an even greater percentage has never been trained on real estate marketing. A recent report on home sales shows that current market conditions are producing only 50% of the number of home sales that were recorded in 2005, so that means the buyers of 2005 will have a hard time selling to the fewer buyers of 2014. Hiring the right Realtor to get your home sold is the single most important factor in getting your home sold while netting the most money for your home. Remember, there are half as many buyers out there as there are sellers needing to move, so you are in a highly competitive market when you decide to list your home for sale. There really is more to selling a home then putting a sign in the yard and waiting for buyers to show up. Furthermore, there is more to marketing a home than just "being on the internet." You might not know this, but if you hire just any Realtor, your listing is likely to be syndicated to hundreds of websites. If you hire a limited-service real estate company which puts your home in the Tallahassee MLS, you will still end up being on numerous sites across the web. So what does this tell you? 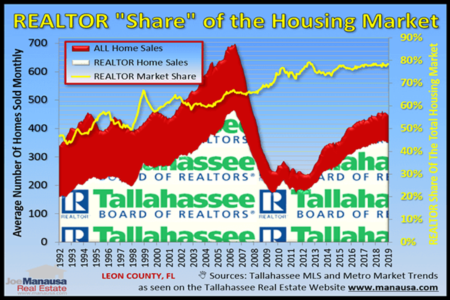 Currently, nearly half the homes listed for sale in the Tallahassee MLS are failing to sell, so apparently "being on the internet" is not a significant factor in getting your home sold. Perhaps there are better ways and better sites on which your home should be featured? Doesn't it make sense to find this out before you hire a Realtor for the job of selling your home? 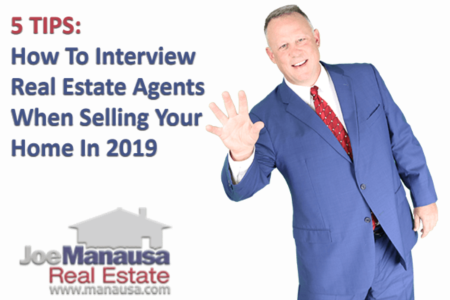 How many tens of thousands of dollars are you willing to put at risk because you are too busy to spend a few hours researching your local market to find a few agents to interview? 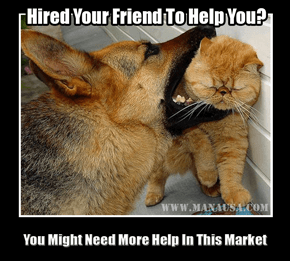 If you would like to see what a complete home selling plan can do to get your Tallahassee home sold, just drop me a note and we will schedule a time to show you how to get top dollar for your home. Can You Just Click The Button To Get Your Home’s Value?